Star Hunter and Secret of the Lost Race. Together in an omni trade paperback volume from master storytelling legend, Andre Norton. A hunted man makes a last stand against deadly pursuers on a hellish planet. A hunter on a dangerous world encounters a menacing alien. Joktar was running for his life--and he didn't know why. After growing up orphaned in the spaceman's helltown of interstellar New York, Joktar was adept at dodging the law, but he knew of no special reason why all the police forces of the civilized galaxy should suddenly concentrate on him. All he knew was that he had to run--out of the Solar system and across the galaxy to the mysterious Wolf worlds. In the freezing hell that was the planet Fenris, Joktar turned to face his hunters and fight to regain his freedom in a universe gone mad. On safari to an unexplored jungle world, Ras Hume must hunt two kinds of quarry--the fearsome native beasts and the equally menacing lone survivor of a mysterious spaceship crash. 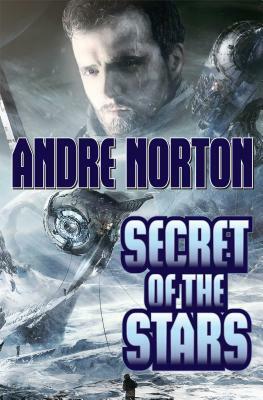 Andre Norton has been called "one of the most popular authors of our time" by Publishers Weekly. She is a seminal influence on many of today's top writers including David Weber, Eric Flint, and Peter Straub. Norton received the Grand Master award from the Science Fiction Writers of America and the Lifetime Achievement Award of the World Fantasy Convention. She was astoundingly prolific, with over thirty books in the celebrated Witch World series alone, and introduced three generations of readers to a wide range of science fiction and fantasy classics over a long and lauded career.